Foreign Secretary Boris Johnson is in the US for the British government’s first formal face-to-face meetings with President-elect Donald Trump’s administration. Johnson met Trump’s son-in-law, Jared Kushner, and his chief strategist, Steve Bannon, for “positive and frank talks” in New York. He will also meet key Republican figures in Washington DC, including House Speaker Paul Ryan. He will not meet his future counterpart, Rex Tillerson, as protocol dictates that this cannot happen before the businessman has already been confirmed as secretary of state. Since Trump’s victory, however, Johnson has changed his tune, describing the billionaire as a dealmaker, and called for an end to the “whinge-o-rama” over his victory. Last month, two of the prime minister’s chiefs of staff, Fiona Hill and Nick Timothy, went on a private visit to meet members of the Trump team to pave the way for a formal meeting. “Following the successful meeting last month between the prime minister’s chiefs of staff and president-elect Donald Trump’s team, Boris Johnson is undertaking a short visit to the US for meetings with close advisers to the president-elect and senior congressional leaders,” a Foreign Office spokesman told the Guardian. “The discussions will be focused on UK-US relations and other foreign policy matters,” he added. 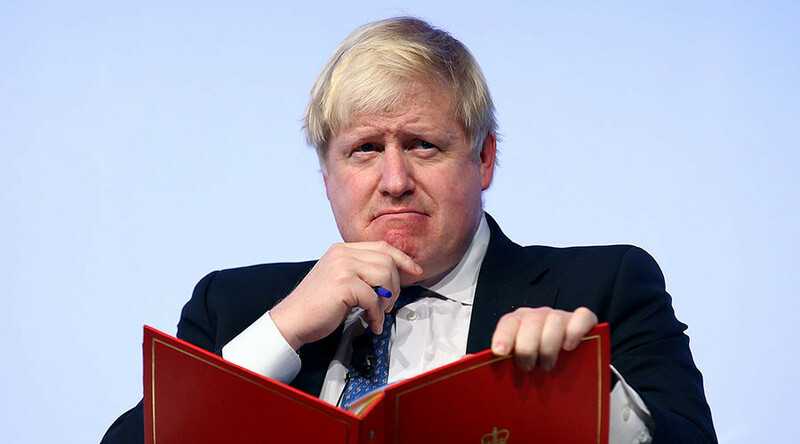 Johnson’s visit comes hours after Trump tweeted he is “very much” looking forward to meeting Prime Minister Theresa May in the spring, and described the UK as a “very special” ally. May now appears to be working hard on building bridges with Trump after criticizing him during the US election. Last month, she took the unusual step of issuing a statement distancing Britain from a speech made by outgoing US Secretary of State John Kerry about Israel in a move seen as a bid to please the Trump team. 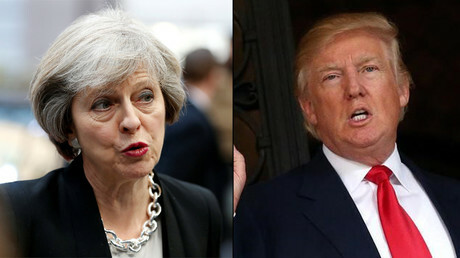 “I think that it is unacceptable but in fact Donald Trump has himself said that and apologized for it,” May told Sky News. “But the relationship the UK has with the United States is about something much bigger than just the relationship between the two individuals as president and prime minister,” she added. Downing Street has repeatedly dismissed Farage’s offer to help her build a relationship with Trump’s administration.